Seán Lemass, Taoiseach of Ireland 1959-1966. 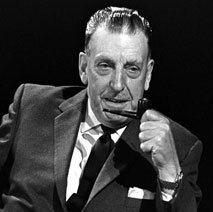 Lemass believed Ireland had given up its sovereignty to the International Community in the years after World War II. Ireland has had a well documented, rather turbulent recent economic history. Following on from the bursting of the property bubble and the attendant banking collapse, an extraordinarily myopic political decision to nationalise the exposure of the banks led to a sovereign debt crisis, and, ultimately, a bailout from the troika of the IMF, ECB and European Commission. Apart from the loss of money, there was plenty dramatic wailing about the loss of National Sovereignty, and references to the War of Independence and the heroes of 1916 and ‘is this what they died for?’ rhetoric. There was even a nuance to the sovereignty question, in that the country had lost her economic sovereignty, whatever that meant. Now, politics has always had an uneasy alliance with the propriety of language, bending it to its will as any situation may have seen fit. The distinction between economic sovereignty, and other sovereignty, one supposes, is that while we’re not necessarily allowed to award pay rises to civil servants, we are still permitted to invade England. At least we have that, I guess. Of course, the extent to which we are – truly – permitted to invade England is limited in exactly the same way as our freedom to spend money has been limited. It is not a flat prohibition on action through coercive or other power that has limited what Ireland as a State can do; it is the threat of exclusion from international systems upon which we have become irrevocably dependent that limits our action. North Korea is probably the most sovereign nation on earth. It is the only country that I can think of that is not beholden to anyone – even the Chinese – and is therefore genuinely free. It is also of course extremely poor. Francis Fukuyama thought we’d cracked it in 1989 with his End of History, where he argued that Liberal Democracy was the ultimate infrastructure for the expression of human freedom, a point that seemed to attract extraordinary emphasis when shortly after publication, the Berlin Wall came down. However, the clear rebuke from Africa and Asia and the Middle East through the late 1990s and past September 11th demonstrated that such an aspiration was not at all universal. Our questioning of what it means to be free continues; Rousseau’s Social Contract began with the words ‘man is born free, but he is everywhere in chains.’ Marx saw freedom as a social thing, and then Rand flipped it back again to the individualistic, narcissistic and violent self-interest, a personalised Smithian marketplace. We’re still not sure what it is; but sovereignty is the national view of freedom. Donal Donovan and Raffique Mottiar in an opinion piece in the Irish Times last December captured it well. Pretty much since the end of the second world war, and particularly when Sean Lemass championed the opening of the Irish economy, ultimately leading to the European Economic Community and Monetary Union, had abdicated its sovereignty. Ireland had decided to join the community of nations, to pool its resources with the great and the not so great countries of the world in an attempt at some great cosmopolitan ideal. Just as the United Nations and its associated infrastructure sought to bring the world closer together and minimise the prospects for future wars, so the European Project did the same at a regional level. Ireland does not control her own destiny any more, and has not done for many years. Ireland instead has created the space within which her citizens can express themselves on a broader, global stage. Sovereignty, then, is an irrelevance, a distraction. It no longer has currency (in the case of Ireland, that is quite literally true!) in the discourse of international affairs. When we consider the legitimacy of Ireland, and more generally the legitimacy of States, it is not so much a consideration of whether the institutions of the state are entitled or empowered to wield the sovereignty of the State in external affairs; rather, it is about representation, negotiation, and presentation. We will not unilaterally go to war; we will not unilaterally default on our sovereign debts; we will not act unilaterally. Rather, we will seek to influence and cajole, to bargain and to persuade, and to use our good offices, our resources, and our diaspora to sway the currents of international affairs in order that those currents carry us to a favourable place.